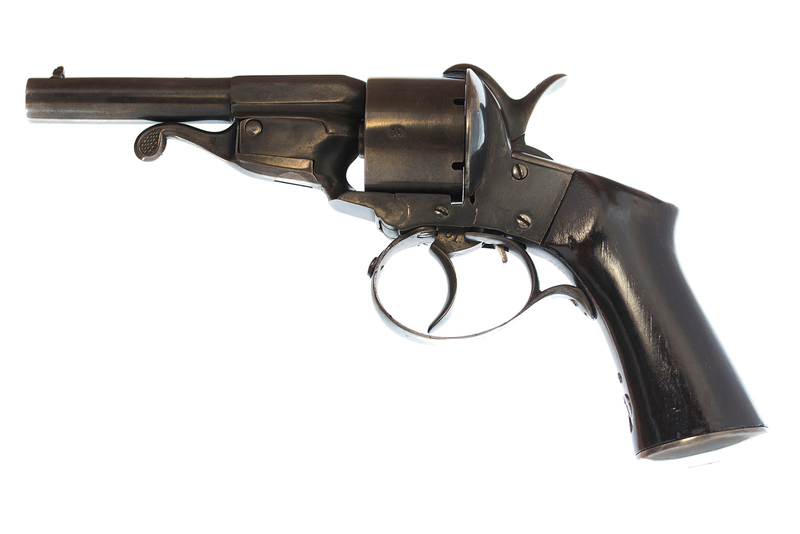 This is a 9mm Javelle patent pinfire revolver manufactured by Verney-Carron of St. Etienne, France somewhere around the late 1850s to early 1860s. 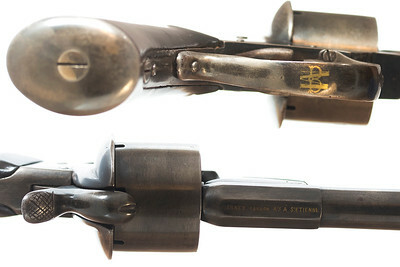 He designed this gun to allow easy removal of the cylinder. 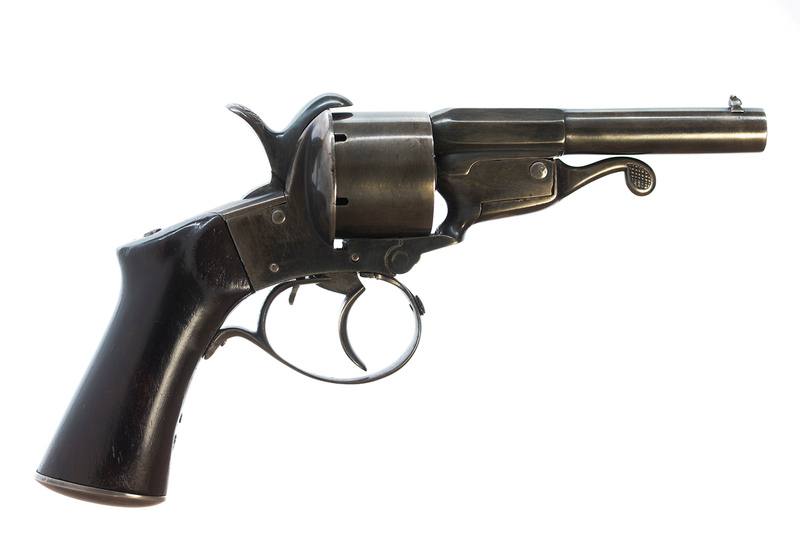 His intentions were that people could carry extra cylinders that were already loaded and quickly reload the revolver. 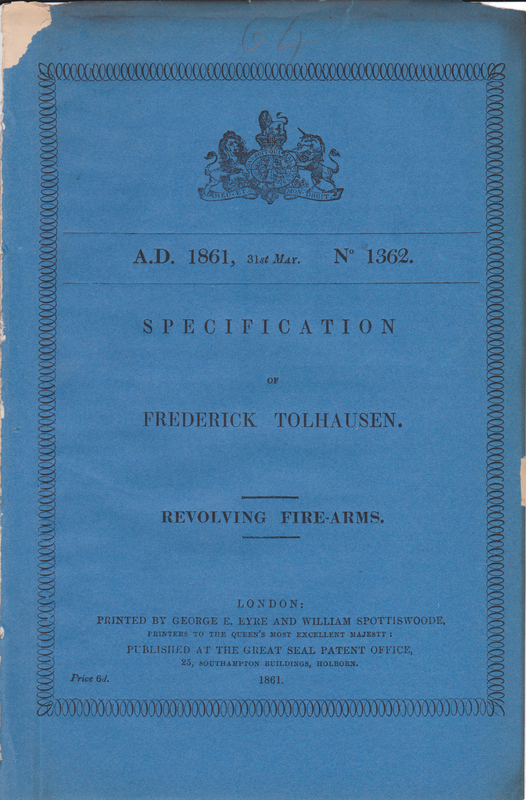 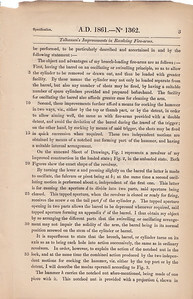 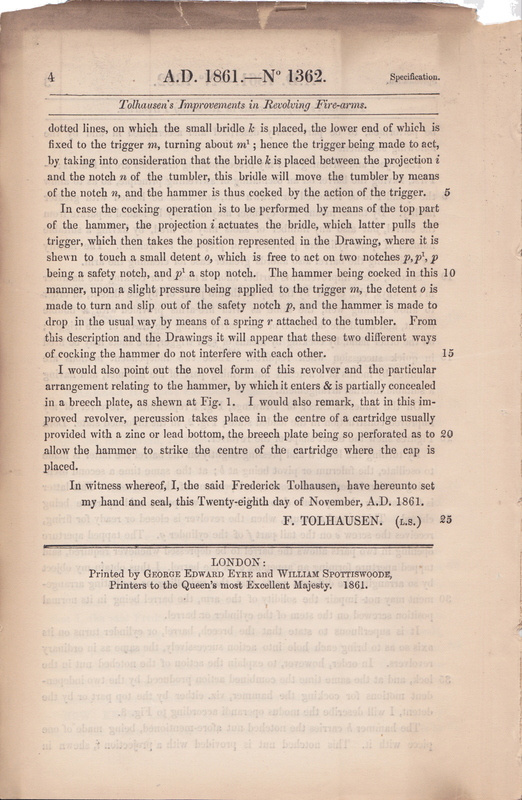 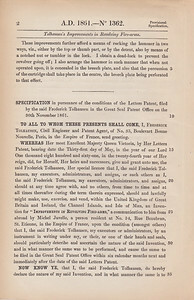 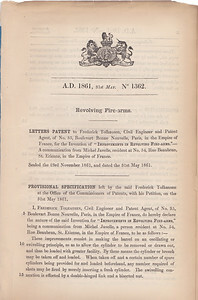 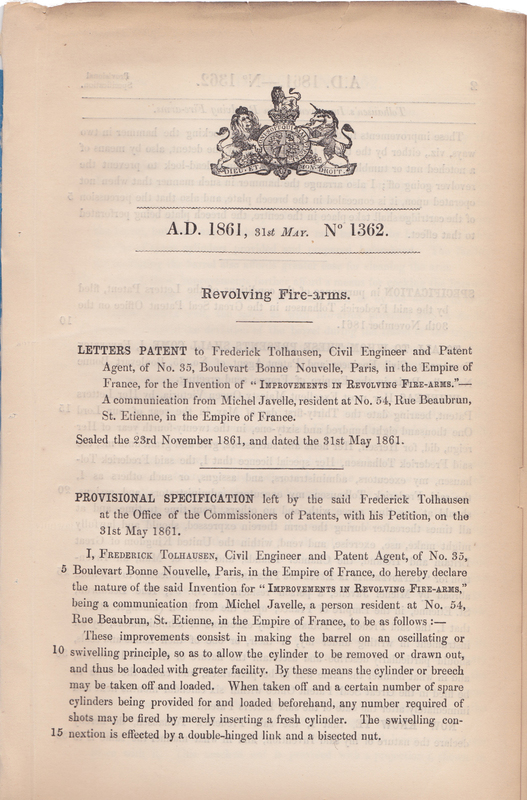 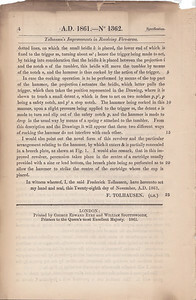 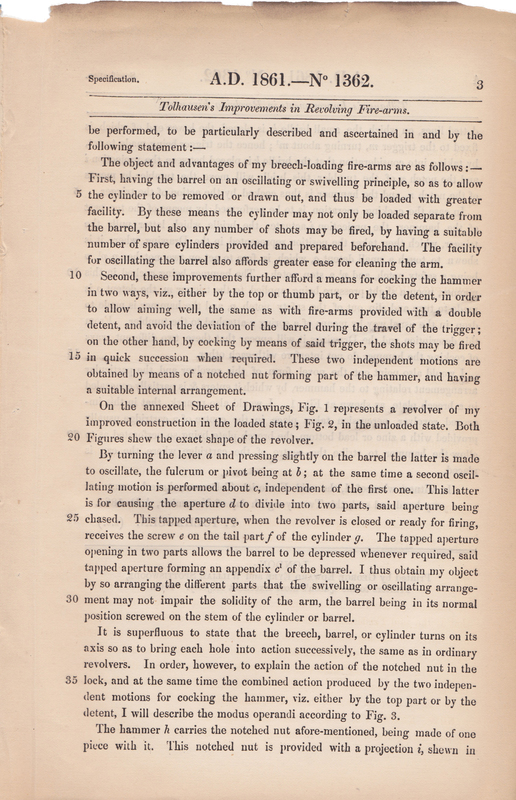 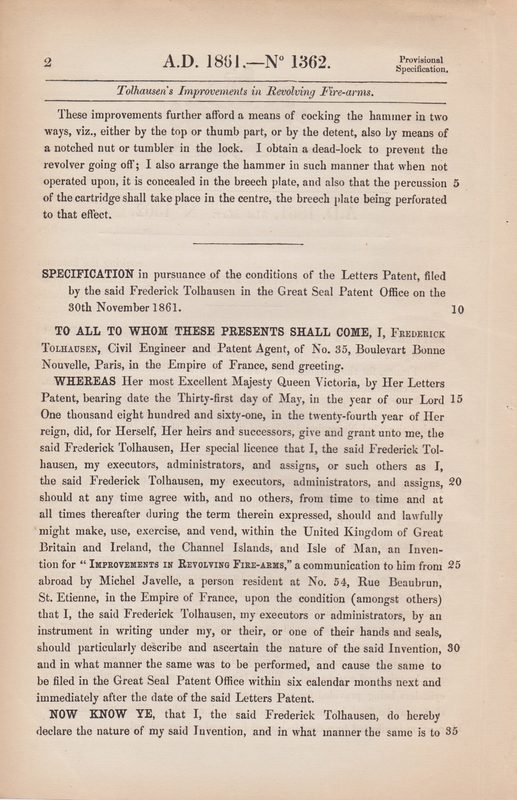 Here is a scan of my copy of British Patent no. 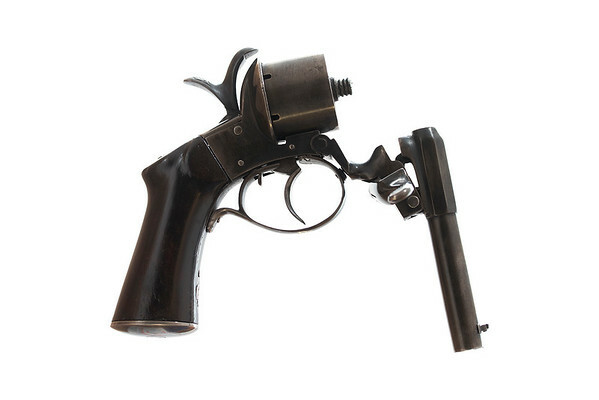 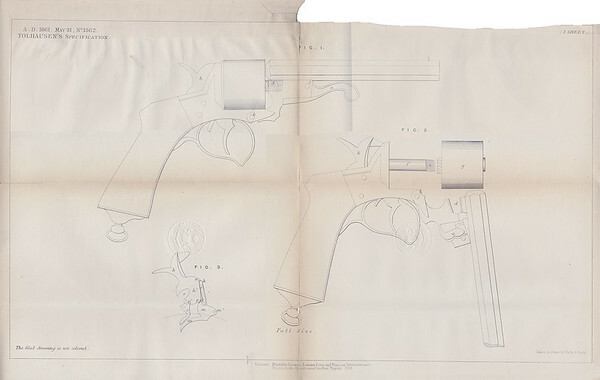 1362 from 1861 which goes into details on the design for a later variation of Javelle’s revolver but is still very similar to the mechanism used in this example. 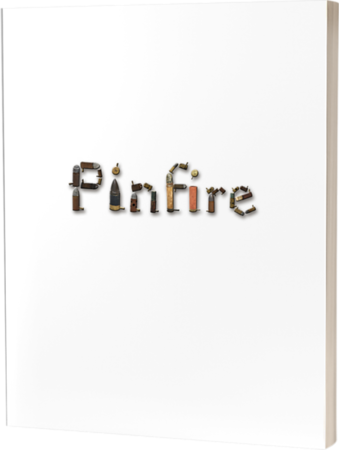 This is specifically for his later revolver which shot his horizontal pinfire cartridges which were an early form of centerfire cartridges.